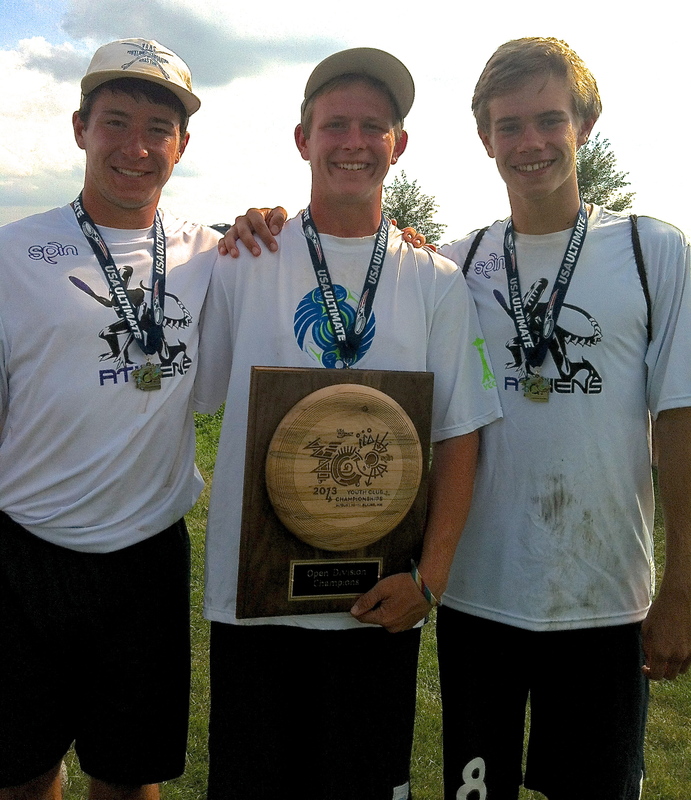 Players from VaHi, Other Intown Neighborhoods Help Bring Home Ultimate Gold! The ATLien team at the awards ceremony. Photo courtesy Rob Brownell. 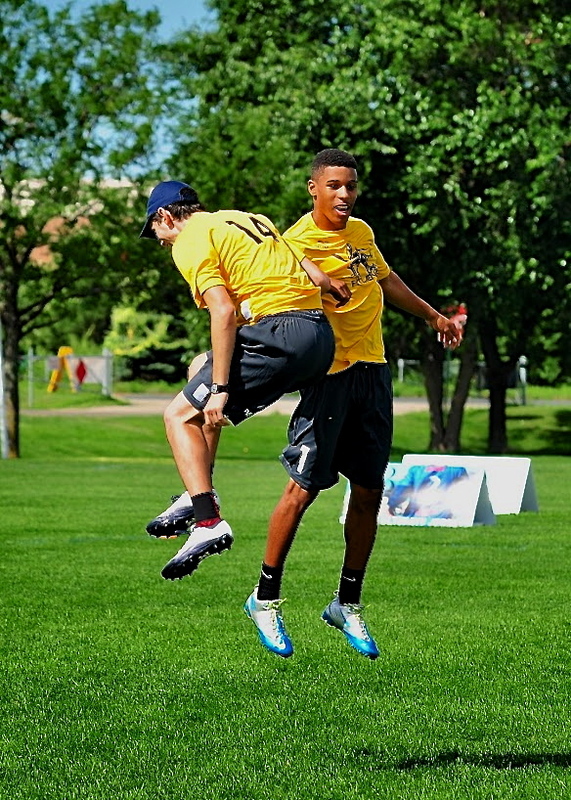 A team that includes Virginia-Highland student athletes who attend Grady High, Paideia School and other local schools traveled to Blaine, Minnesota recently to compete in the USA Ultimate Youth Club Championships (YCC). Ranked 10th out of 19 teams entering the tournament, the ATLiens, as they’re known, shocked the world, taking first place and bringing gold home to Atlanta. Before we share the details with you, though, we’re pretty sure there’s someone out there asking: What’s ultimate? 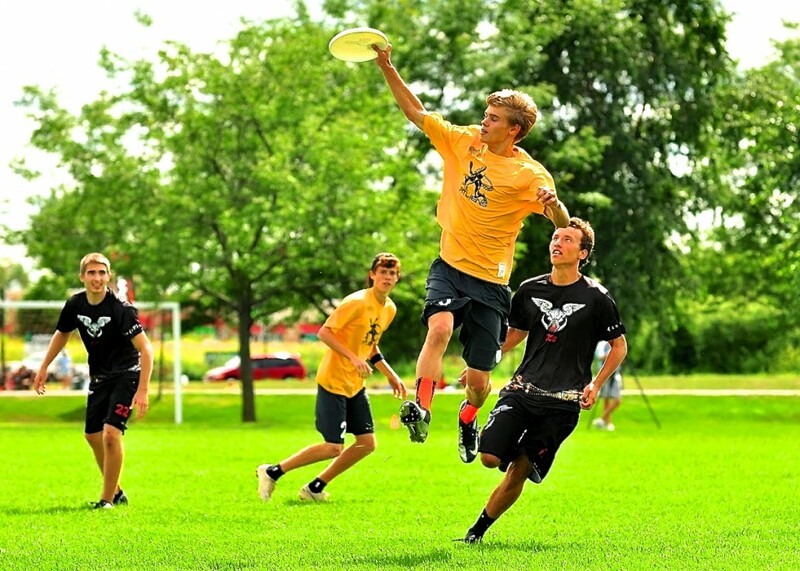 For the uninformed, ultimate is a team sport played with a flying disc – also known as a Frisbee. The object of the game is to score points by passing the disc to a player in the opposing end zone, similar to an end zone in American football or the in-goal area in rugby. Players can’t run with the disc, and must keep a pivot foot planted while holding it. Teams typically have seven players each. The field of play is usually 120 yards long – including two 25-yard end zones – and 40 yards wide. Click here for more information on ultimate. Now, back to the ATLiens outstanding weekend (August 11-12) in Blaine. 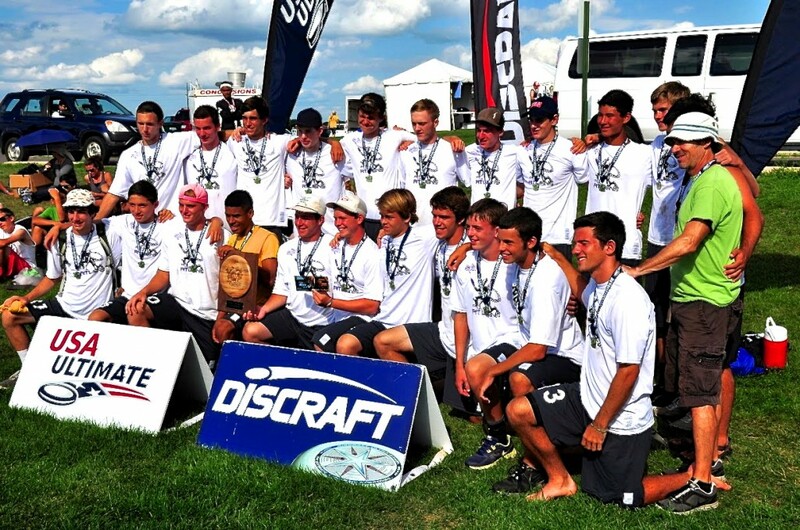 The YCC serves as the national championship tournament among the country’s best youth leagues. This year’s tournament featured 40 teams in U-16 (under 16 years old) open, U-19 open, mixed, and girls divisions. Nathan Haskell with a defensive steal. Photo courtesy Rob Brownell. Playing in the U-19 division, the ATLiens – a team made of all-star players from nine schools throughout the city, and coached by Michael Baccarini from Paideia and Jonathan “Frito” Monforti of Atlanta’s Chain Lightning men’s ultimate team – turned in a dominating performance when they needed it most. On Saturday the team finished first in its pool, racking up impressive 11-2, 11-3 and 11-0 victories against a single 9-7 loss. There’d be no loss on Sunday, though, as the ATLiens defeated Chicago 13-8, Delaware 13-5 and, finally, Seattle in the championship game, 13-7. Click here to read a report on the Atlanta Flying Disc Club’s website about the ATLiens championship weekend. Both of ATLien’s coaches couldn’t have been more proud of their team. Coach Michael Baccarini using every moment as a coaching opportunity. Photo courtesy Rob Brownell. Sebastian DiFrancesco, Riley Erickson and Nathan Haskell with the championship trophy. Photo courtesy Rob Brownell. Joe Lavine going up big for the disc. Photo courtesy Rob Brownell. Atlanta also sent a U-16 team to the championships and there were VaHi student athletes on that team, too. That team – ATLarge – finished the tournament in 4th place out of nine teams, well ahead of their original #8 seeding. 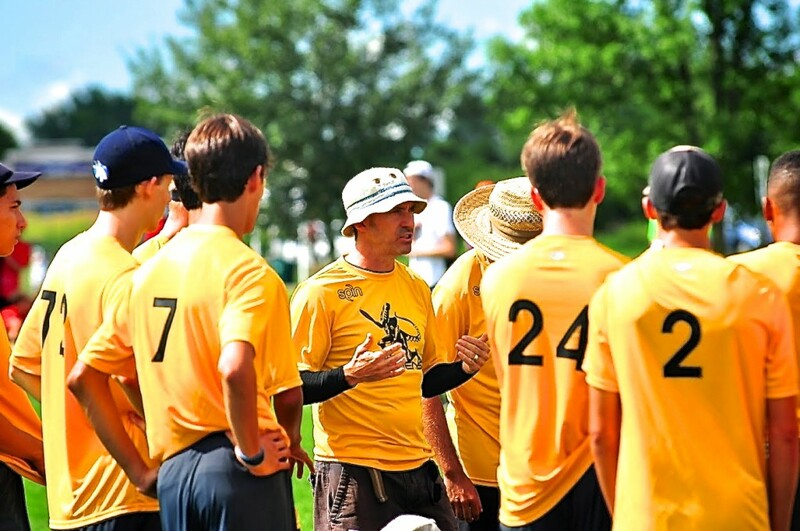 ATLarge was coached by VaHi resident, former club player and Inman Middle School ultimate coach Paddi White, as well as Jen Waldrup and Andy Jones. John Stubbs and Caleb Shorthouse celebrate after a score. Photo courtesy Rob Brownell. Congratulations to the players and coaches of both the ATLien and ATLarge teams for an outstanding YCC performance! 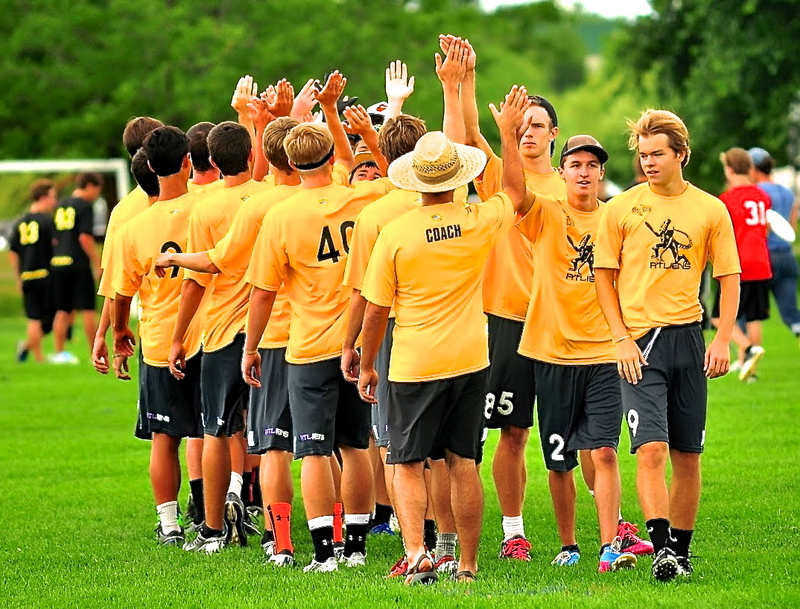 Any high school players interested in playing ultimate this fall can sign up for the AFDC Juniors Fall League, and play on Saturdays at Old 4th Ward Park between Sept. 7 and Nov. 2. Team high fives after an opening round victory. Photo courtesy Rob Brownell. 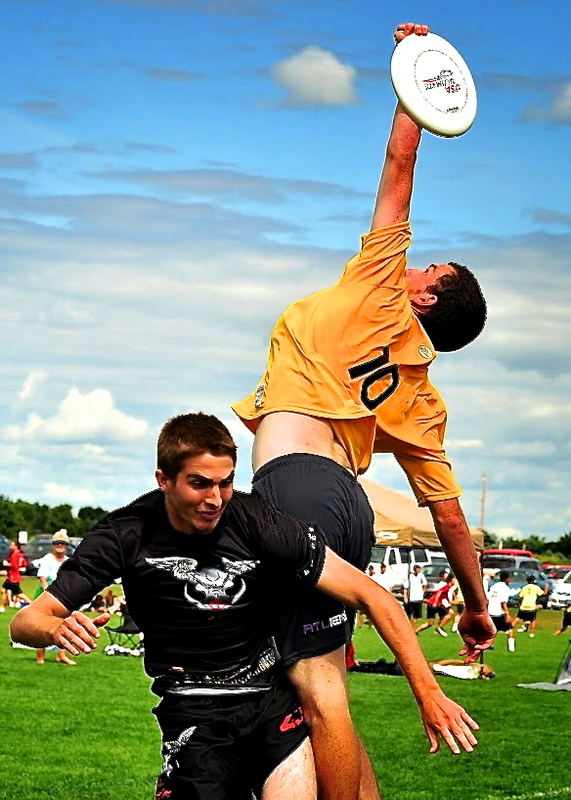 This entry was posted in news and tagged 2013, grady, ultimate by John Becker. Bookmark the permalink.